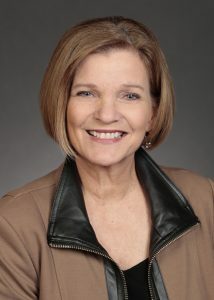 CEDAR RAPIDS, Iowa – State Senator Liz Mathis (D-Hiawatha) has been named a Hero in the Fight by the Linn County chapter of the National Alliance for Mental Illness. â€œSenator Mathis works relentlessly to advocate for our most vulnerable citizens. With Medicaid moving to a managed care system, Senator Mathis has been active in the community, listening to individuals and families about their experiences and making sure no one falls through the cracks. She listens to providers and advocacy groups so that she truly understands how real people are impacted. Her genuine care is evident,â€ said Kathy Johnson, a member of the board of directors for NAMI Linn County. The Heroes in the Fight awards are given each year to those who help fight stigma the stigma of mental illness and promote positive changes to ensure all Iowans have access to affordable and effective mental health treatment. â€œIowans struggling with mental illness are some of our most vulnerable citizens, but their needs are often overlooked, or they get lost in our complicated health care system. They deserve someone who will stand up for them, fight for them and not quit until we get the job done,â€ Mathis said. Senator Mathis authored legislation with the help of Kent Jackson, director of Behavioral Health for Unity Point, which allows certain patients with schizophrenia to get long-lasting injections of antipsychotic medicine so that they can avoid costly hospital stays and more easily return to their day-to-day life. She also created a Childrenâ€™s Mental Health & Wellbeing Workgroup in 2015 that is building a child mental health care system. The workgroup will be presenting legislation in 2018 that will address children experiencing a mental health care crisis. The workgroup also has encouraged pilot projects for new ways of improving child wellbeing. NAMI Linn County is the local affiliate of a state and national association dedicated to education, advocacy and support for individuals and families struggling with the impact of a mental illness.